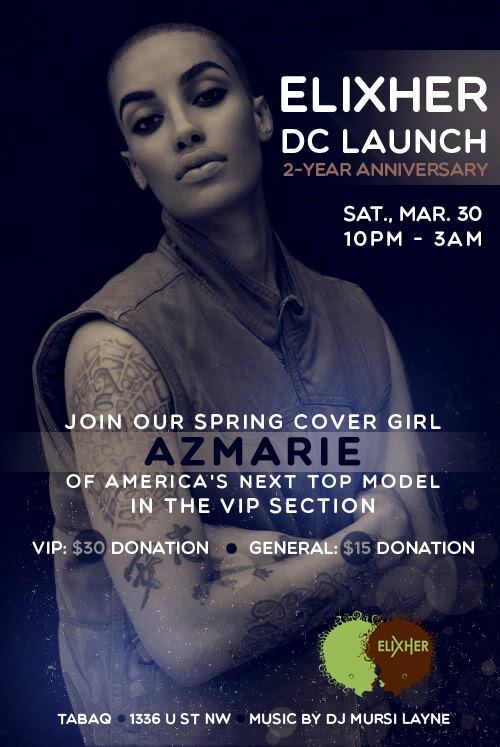 If you’re going to be in the DC area this weekend come out and help celebrate the launch of ELIXHER Magazine with spring cover girl, AzMarie of America’s Next Top Model. ELIXHER is an award-winning online destination for Black lesbian, bisexual, trans and queer women. It is your go-to resource for all things empowering, thought-provoking, and pertinent to the Black female queer community and experience. You’ll find news, uplifting profiles, local events, political commentary, personal reflections, and more.